Fixed line and Mobile internet speeds have greatly improved in the Philippines in the term of President Rodrigo Duterte since his call to the Telecommunications companies in the Philippines to start making improvements to their infrastructure to be able to better serve the Philippine customers. 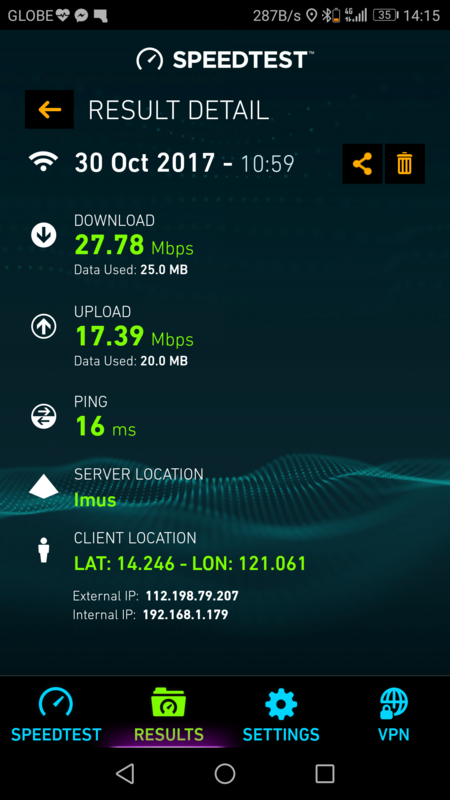 According to Speedtest Global and even the Akamai reports, the speeds for both fixed line and mobile internet has greatly improved continually in the last few quarters. From a world ranking of 99th, the Philippines has moved up to the 94th place with download speeds increasing from 8.18 Mbps from September 2016 to11.95 Mbps in September 2017. And with the fixed line Broadband increasing from 8.76 in September 2016 to 13.41 Mbps in September 2017. “The improvement in the Philippines’ Internet speed may be attributed to President Duterte’s repeated calls for telecommunications companies to improve their services,” Speedtest said. Speedtest.net releases monthly mobile and fixed broadband speeds from “billions” of consumer-initiated speed tests from around the globe. Iraq had the slowest mobile internet speed while Venezuela, which is embroiled in political and economic upheavals, had the slowest fixed line connection. Here are the top performing countries according to the Global Speedtest Index in September. Smart is pursuing its three-year program to roll out LTE in 95% of the country’s cities and municipalities by end-2018.. while Globe Telecom plans to roll out 400,000 ultra-fast broadband lines within the year. Akamai Technologies revealed in its State of the Internet Connectivity Report for the first quarter of 2017 that the Philippines showed significant improvement in broadband speed and adoption. In the report, the Philippines average fixed broadband speed is up 20% QoQ and 57% YoY at 5.5 Mbps. The country also registered the strongest growth in Asia Pacific region in terms of “above 4 Mbps connectivity adoption” at 39% adoption rate, growing 26% QoQ, and a robust 111% YoY.